23rd November 2018 | No Comments on Black Friday Sale Starts NOW! A sale for all seasons! You’re not going to want to get off the couch this Black Friday with all the incredible savings TGA has to offer. 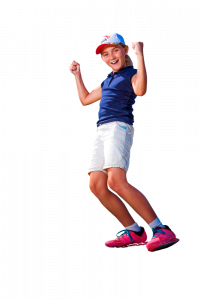 Stock up on holiday gifts or birthday surprises for the young athletes in your life by surprising them with a new set of TGA Premier Junior Golf Clubs or a TGA Premier Youth Tennis Racquet (or two). This Black Friday, you can take 25% OFF and receive FREE SHIPPING on all TGA equipment during the holiday season. We encourage everyone to take part as a portion of every dollar spent on the TGA Equipment Shop goes towards scholarships to help under-resourced families gain access to all the amazing benefits of playing sports with TGA. Click here to use coupon code TGA42 to save 25% on all equipment and give back to your community today. Take advantage of our biggest savings of the year as we say thank you to our loyal customers this holiday season!